SHENZHEN, China, Jan. 23, 2019 /PRNewswire/ -- Vivo has had a fantastic year of launching true innovations in 2018. The company has recently published a video to showcase its industry-leading innovative solution -- the Elevating Front Camera. Just 4 months after the debut at MWC, Vivo delivered its promise to make the bezel-less dream come true with NEX - the first mass-produced smartphone with an Elevating Front Camera. This is a small periscopic camera that pops up when taking selfies, and retracts automatically when the user exits selfie mode. 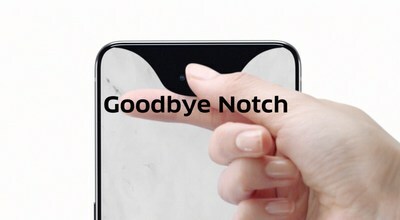 The true bezel-less phone was finally achieved.